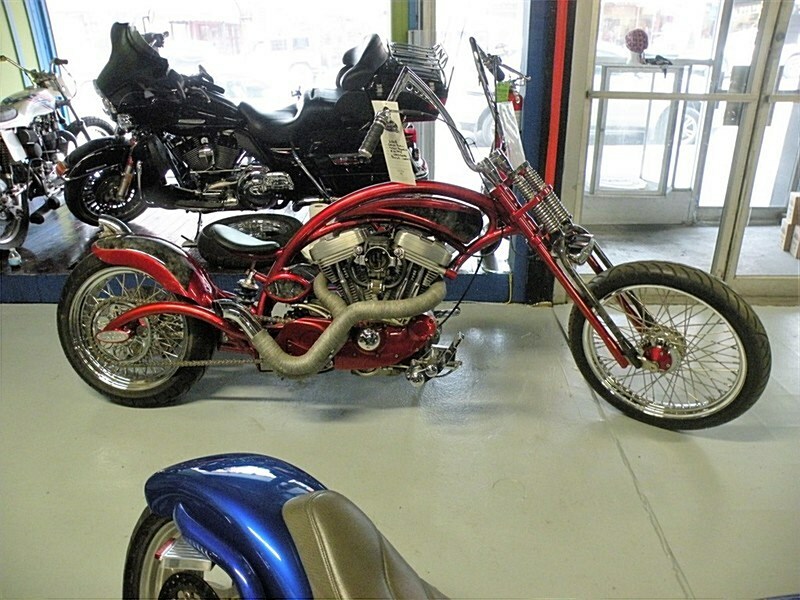 2008 Geico BUELL Mutant Red Neck Chopper, Bobber. Built by Logic Cycles. A 1200 c.c. Buell engine thats fast, reliable and different from most other choppers truly sets this bike apart. Custom Red Neck drop seat and a custom springer front end painted to match the beautiful Red paint. The grey marble inlay is gorgeous and sets the bike off perfectly. Also the oil tank is custom painted red with marble inlay to match. This bike was admired by Warren Buffet and Bill Gates. Both felt they had to sit on it for a picture because they were that impressed!!! This bike was also chosen to be in the 2014 Sturgis Buffalo Chip Calendar. This is a one of a kind that will turn heads wherever you go whether its to your local hang out or a bike show you've just entered. Stop in today at Cycle Warehouse, 200 S. Main St. Butler Pa. or call Jen at 724 282 7278. We have two floors of pre-owned, vintage and British motorcycles ready to go. Hello, I'm interested in your 2008 Custom. Hello, I'm interested in making an offer on your 2008 Custom. Hello, I'm interested in trading in my bike for your 2008 Custom. Hello, I'm interested in taking your 2008 Custom for a test ride.